when chanel came out with their light green color jade last fall, people everywhere flocked to get their hands on it. so of course, polish lovers set out to find dupes in collections they had easier access to (and of course cheaper alternatives). i found mine in opi's hey! get in lime. it's a gorgeous sheerish creme mint green. there is a hint of shimmer in it as well, but it's hardly detectable. this swatch is 4 coats, this polish is super pretty but streaky and thiiiiiin. also very close to this is mac's peppermint patti, claire's dreamcatcher and charlotte russe's jade color polish. 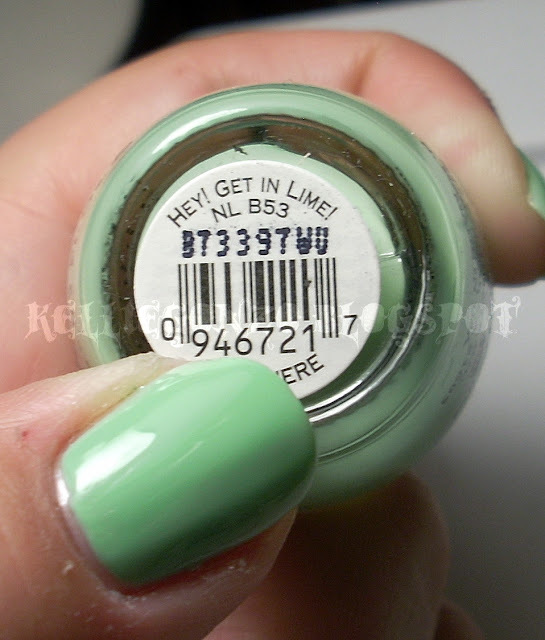 megan chair has a post of basically all the mint green polishes that have come out, like EVER in this amazing post HERE. go check her out, she's fantastic. hope your monday is going awesome beautys!